Inspired by: Nature, Food, Colour and the Southwest. Creativity has always been my medicine and has got me through the highs and lows in life. I spent most of my twenties travelling around Australia and overseas, I enjoy the outdoors and camping lifestyle with any free time we get together as a Family. My Business Journey began when I was studying silversmithing. In the earlier days, I sold my works in various galleries down south and up North, however, I wasn't satisfied and wanted to immerse myself with colour and Nature. I became very passionate about floral arts, this is when I began my floristry studies. After working with fresh flowers for the beginning of my career I then started playing with silks. I realised how much the quality had changed and how fantastic it was to create with flowers that lasted. 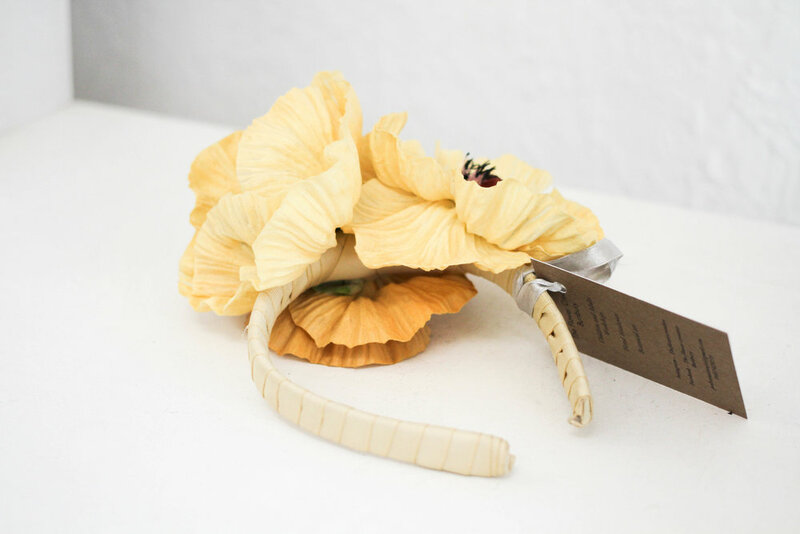 I now work with different mediums, online fresh flower deliveries, silk fascinators, flower hoops and recently started using and preserving flowers. I teach workshops in all things floral and now host children's flower parties, hensday crown parties and host various workshops at markets and in the community.